I stayed at your hotel for eight evenings last month and was most impressed with the beds. I enjoyed my stay immensely and had the best sleep ever. 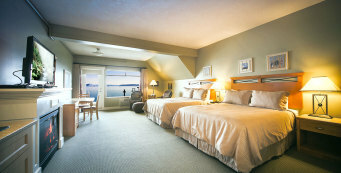 We have been staying at Sidney Waterfront Inn & Suites since the mid 1980’s when we moved our sailboat to North Saanich. We love it here! We have stayed here before. Reception people were pleasant and helpful. Our room was kept immaculate throughout our stay! We are Penderites (from Pender Island) we stay here when we come in to go the hospital, when we miss our ferry, or to go to the Victoria Airport. Our room was fantastic! 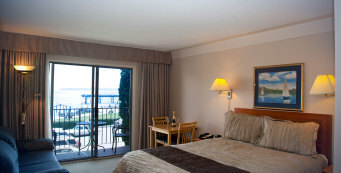 We were very pleased we chose the Sidney Waterfront Inn & Suites for our stay in Sidney on the Sea. The room was very adequate but the staff was excellent!!! We had a room facing the water (it’s worth the extra $$). Breakfast was nothing fancy but made the start of the day nutritiously sound. Had gluten free cereal, fruit and yogurt. Took breakfast up to the room and sat out on the balcony each morning. Parking was easy, wifi was very good. Had a laundry room which met our needs. Highly recommended!! My Mother and I stayed at this hotel and were seriously impressed. We could have had separate rooms but decided to splurge and get one really lovely room that we could share, so we took a suite in the Cannery. The room had a lovely balcony overlooking the water with the most fantastic views of Mt. Baker and all the rest of the harbour. It was panoramic. The room itself was beautifully appointed with a fireplace, kitchenette, dining table and chairs, and a seating area complete with comfy chairs and a footstool. The bathroom had a large jetted tub (that I thoroughly enjoyed) as well as a separate shower. The hotel also puts a little breakfast consisting of fresh fruit, yogurt, muffins and juice in your fridge if you don’t feel like coming down for the continental breakfast that is provided. It was a great experience and one that I would certainly repeat. This hotel is also right at the end of the main shopping street of Sidney and is well within walking distance of everything. It also has a restaurant that serves good food and is reasonable priced. Stayed here for 3 nights the first of June and just loved it. The hotel is older but has been updated, and is very clean and well kept, nothing fancy but great location and reasonable price for the Victoria area. Located on the waterfront of downtown Sidney bc perfect place for walking along the sea, right by the government peir where you can walk out on and watch people crabbing off the pier, great for wondering down along the shops on Main Street. Be there on Thursday nights and take in the farmers market set up all along Main Street. Just a 5 minute drive from the ferry, 30 minutes to downtown Victoria, 5 minutes to the airport, 10 mins to Butchard gardens. Lots of restaurants in the walkable area. Has a continental breakfast included with the price which has some gluten free items at it. Best to view a view room as the sunrise views are second to none. 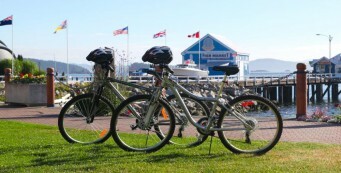 This small hotel is downtown and some rooms on both floors face the ocean with views of James Island and Sidney Island. Next door is an excellent restaurant -Beacon Landing – and there are suites on the second floor that are large and equipped with Jacuzzi, breakfast nook, furniture including on the balcony. The prices are reasonable for the quality of the lodging and the experience. 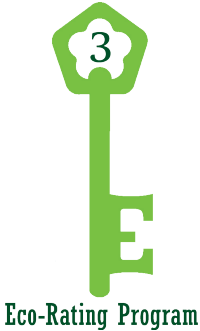 The staff are friendly and helpful and many guests return as the Inn quickly becomes there favorite place when visiting the south Island whether for business, a conference or pleasure. While things may be a bit dated the management makes the best of what it is and with great attention to detail they make this a lovely place to spend a few nights. In addition to being on the waterfront and close to everything, there are little touches like comfy bath robes, free wifi, nice TVs and well equipped rooms for basic meal preparation and cold storage for food and beverages that make this a comfortable home away from home. The rooms are well priced and we got a special rate because we were booked with Maple Leaf Adventures. The area is very charming and there is lots to see and do and this is a very good place to be based as everything is within an easy walk and it is a short ride from the airport. Staff were very friendly and welcoming and we enjoyed our stay.